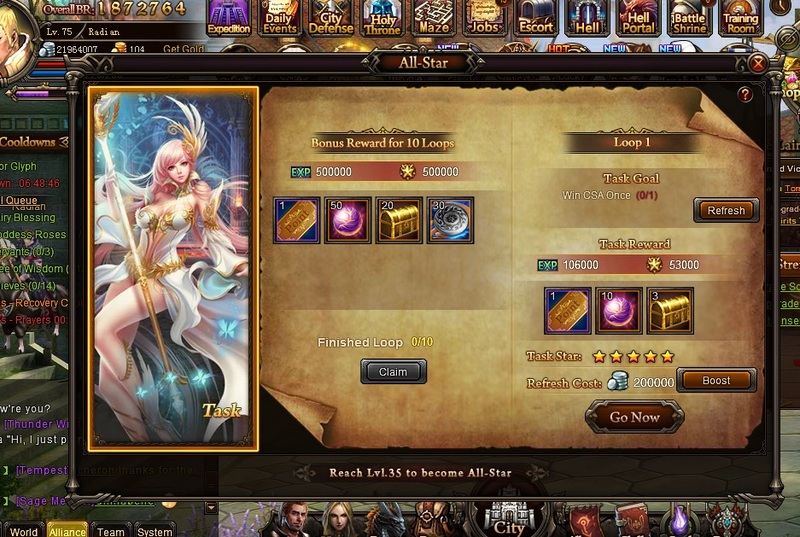 North America Forum»Forum ›Knights Fable ›General Discussion › All Star task bug? I have been done those tasks a few times, but just now i noticed, that the boost doesn\'t give anything, it should give 3 vestment material box - gives 1, should give 10 crystal seals - gives 5. Could you please fix that? You\'re fast to pooping with something new as always, but u\'re not up to fix buggs that u left behind with another updates. Boost only adds bonus EXP and Wisdoms. Then why does it shows boosted reward in vestment box and crystal seals? Reply 6# shrek72 For each task u recive ticket with 1 point, that\'s how u lvel it up. It\'s only for vips though, normal player will need to do it for a year to get some worth rewards. I\'ve tested it and I don\'t see any bugs with the Boost feature. 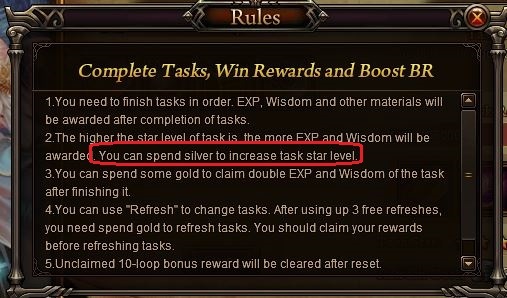 Actually, that feature only adds bonus EXP and wisdom as written in the guide. (click the ? button). 2019-4-21 01:08 GMT+8 , Processed in 0.061513 second(s), 52 queries .